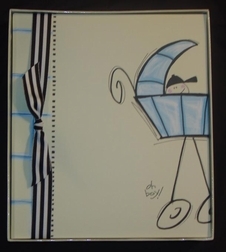 Home > Babies & Infants > Baby Books > Baby Carriage Brag Photo Book By Penny Laine. Baby Carriage Brag Photo Book By Penny Laine. 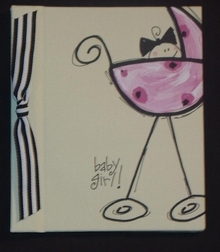 This canvas covered brag book from Penny Laine features an adorable design and holds up to 40 4x6 photos. A great matching accessory to your Penny Laine baby book or as a stand-alone brag book for sharing photos of the little one.